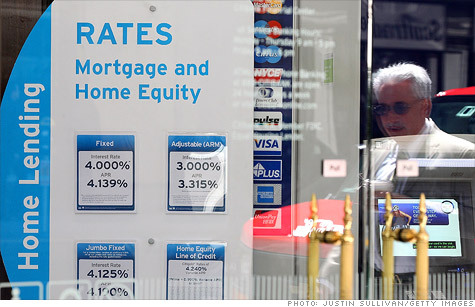 The closing costs of getting a mortgage have dropped. NEW YORK (CNNMoney) -- Federal regulations are helping to significantly reduce the amount new homebuyers are paying come closing time. The decline can be attributed to new regulations that require lenders to be more accurate when estimating closing costs for borrowers, said Greg McBride, Bankrate's senior financial analyst. The regulation, which was put in place two years ago as part of the Real Estate Settlement Practices Act requires lenders to provide a "good faith estimate" of third-party fees that is within 10% of the actual amount the buyer will pay. "The big drop in third-party fees indicates the lenders are doing a better job at estimating what the costs will be," said McBride. "Borrowers don't want to get tunnel vision shopping for the best mortgage deal by only looking at the interest rate," he said. "Closing costs are a big line item and savings there can be quite significant."